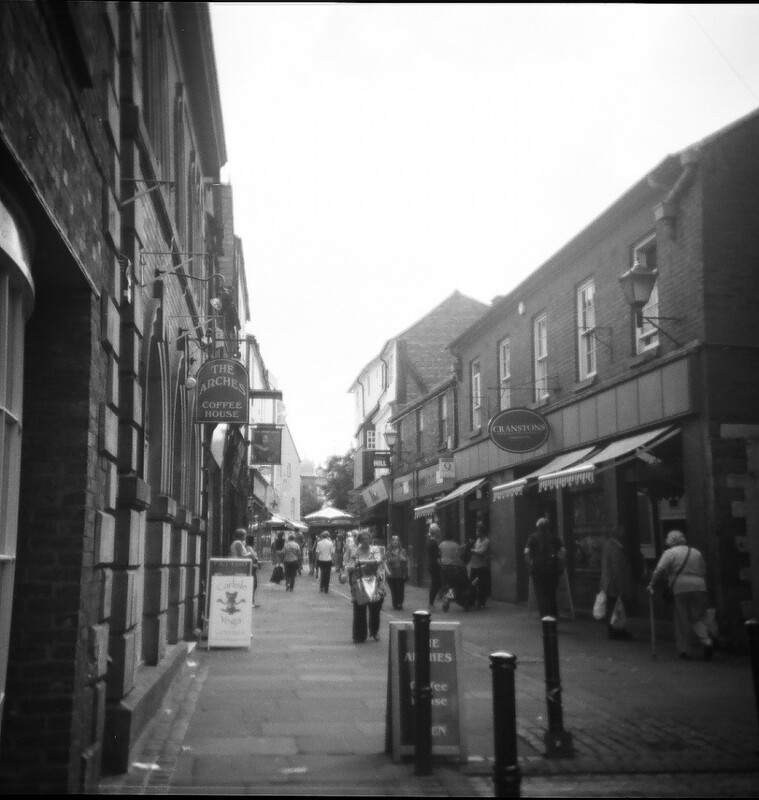 The Agfa Isoly is perhaps one of the most influencial basic 120 point and shooters there has ever been, setting the scene for the Diana cameras and their more recent re-birth with LSI’s Diana F+. But how does this classic stack up ? 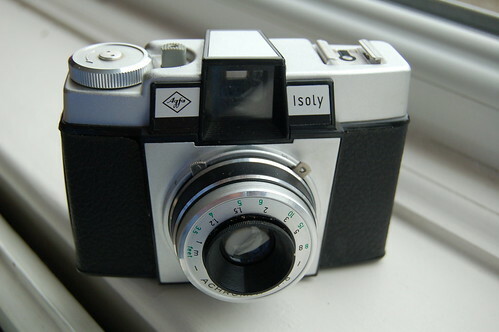 The isoly first arrived in 1960 with its Achromat(ic) simple lens. The series expanded with better lensed variants (the first Isoly became known as the Isoly I). Confusingly most cameras in the series just have Isoly marked but the original can be seperated by the Achromat 1:8 label on the lens. It is widely believed that the Isoly I was the inspiration of Hong Kong’s Great Wall’s cheap Diana which would become more iconic and in turn have given rise to the modern Diana + and Diana F+ cameras from LSI. 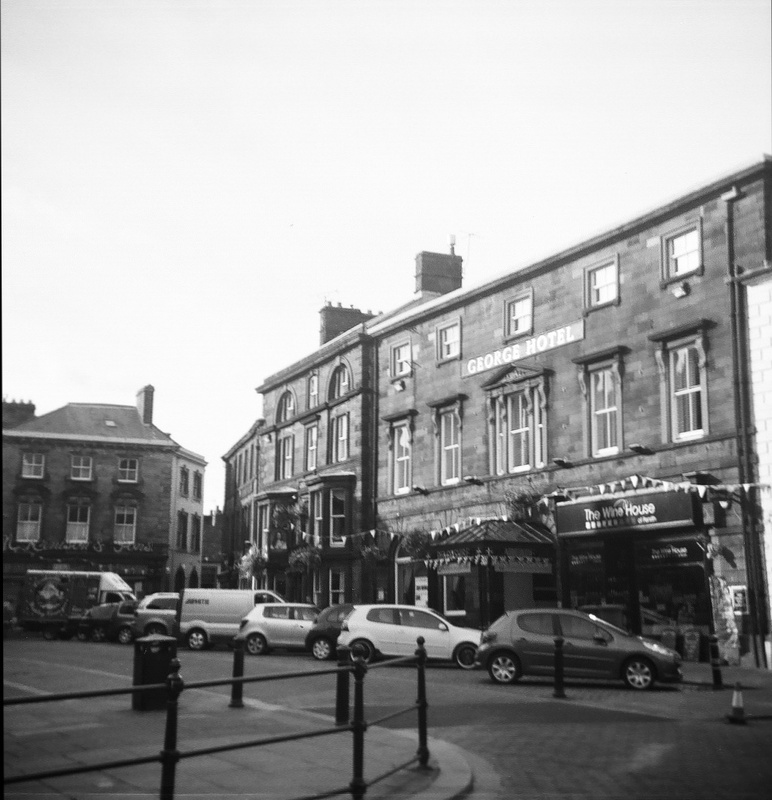 Dumfries July 2014. 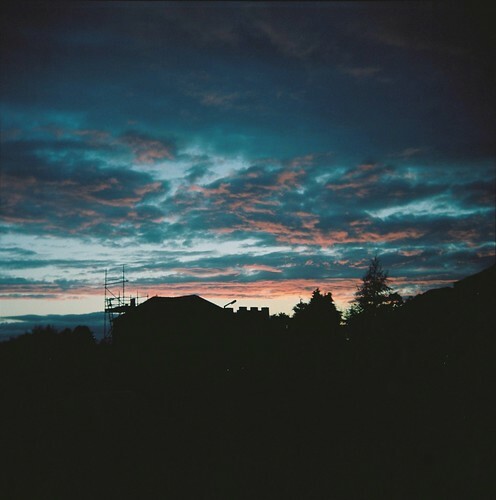 Taken on Agfa Isoly I with Kodak Porta 160. 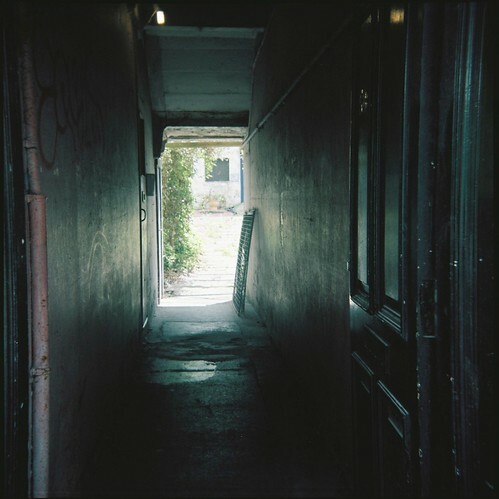 Compared to the Diana F+ and the build quality is a lot better. The camera comes with a scale focus simple achromatic lens (some variants had scale markings), a choice of 2 apertures and 3 shutter speeds including Bulb (B). 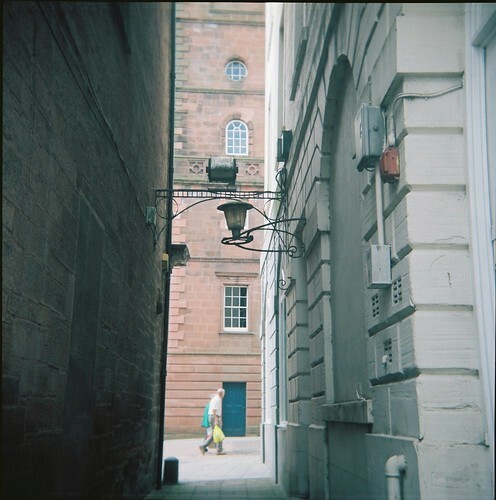 Unlike the current Diana F+ that bulb speed is useable out of the box with a built in cable release. The camera also comes with mechanism to prevent double exposure and a standard hot shoe mount for flash. The shutter is also better placed on the top plate. Unlike the Diana F+ it has a curved film plane which was done to improve focus for such a simple lens. Ergonomically & built quality-wise it’s a better camera than it’s modern pretender. But when I had to make a choice between the two, who won out ? In the end, the Diana F+ is still sat here but it was a close call. It might be me but the Diana took more consistently useful images probably due to the fact it works with smaller apertures and hence better Depth of Field (3 zone focus versus scale probably helped a wee bit too). Okay when the Isoly worked well it has less blurring at the edges and is a bit sharper. The Diana allows you to use both 16 and frames a roll. Ergonomically the Isoly is better and has a out of box cable and standard flash option but the Diana F+ is a system camera with interchangeable lens, backs & frame masks and can shoot more widely available 400asa film including Ilford’s C41 B&W XP2 and can tolerate slower speed films too.